I chalked up a new Boulder County bird today thanks to my buddies Ted Floyd and David Waltman- a Carolina Wren. That completes all of the Colorado Wrens for me in Boulder County (unless/until a Cactus Wren report from this spring gets accepted to the state list...) Pretty easy twitch- I heard the bird as soon about as soon as I started listening for it, and soon had it in sight quite nearby the trail along S. Boulder Creek. I used the chase as an opportunity to try a new point-and-shoot super zoom camera I just got- a Panasonic DMC-ZS7. I mainly got the camera for my upcoming PolarTREC expedition to the Arctic Ocean, liking its built-in GPS geotagging, 400mm top end zoom equivalent, and HD video capabilities in a package the size of a deck of cards. Much to my delight, I've found it also digiscopes fairly well (some vignetting but with 12 MP plenty of room to crop) and can record sounds reasonably well, too. I'm thinking that this will be a pretty slick tool for documenting birds- exact location & time is captured by the GPS, sound and action can be obtained in the video mode, and with the zoom maxed out it has enough reach for at least record-quality pics of many birds. 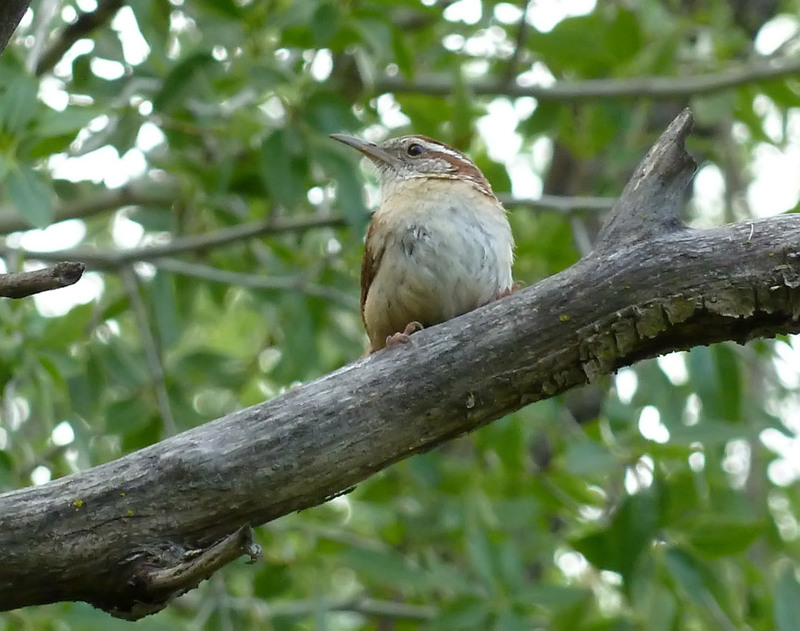 Above is a pic I snapped of the wren at max zoom, and below is a YouTube clip of the bird- unfortunately the visual quality is only so-so (a problem I've always had with YouTube) but the song comes through pretty well. Select the better quality vid (480p) to get the best look.